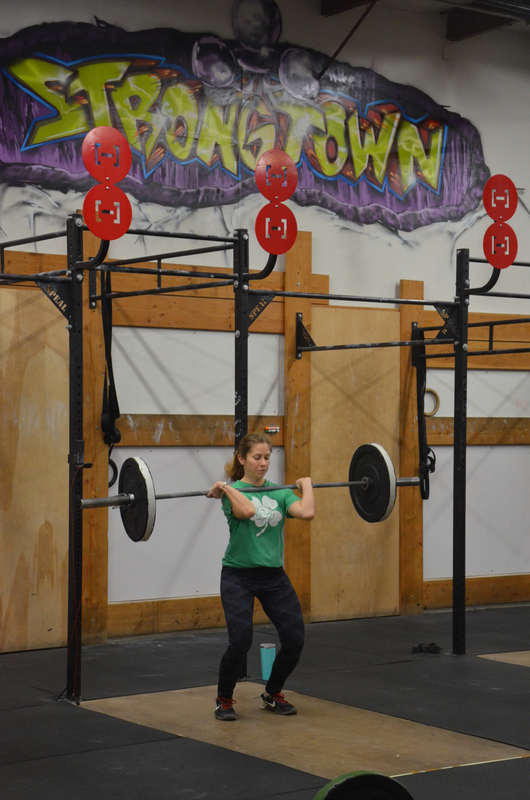 Sophia making sure to get her elbows around on her Hang Power Cleans. 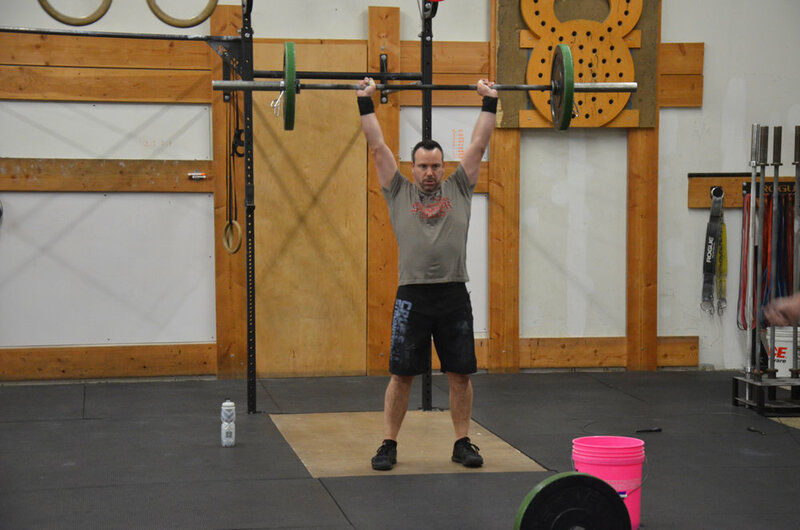 Tommy staying focused during his 25 Push-Press. Amanda working through her burpees.